Representatives of The Laurencekirk Development Trust have been lobbying Aberdeenshire Council to retain the number of community facilities in the town. 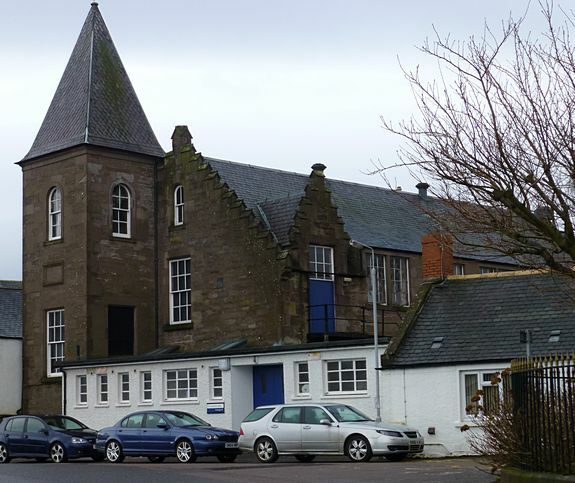 Laurencekirk’s population has doubled in the past twenty years but community facilities, in particular halls and meeting rooms, have remained much the same. There are plans to add 1000 homes but no mention of additional community facilities. Having been denied the old academy site and losing the Community Centre, the St. Laurence Hall is next in line for closure and sale. We need to make a very strong case to the Council if we are to retain this unique local facility. The building, in Conveth Place, was designed as a concert hall and funded in the 1860s by public subscription. It was initially run by a Trust but when they had financial problems it was taken over by the Laurencekirk Town Council in the 1880s. It remained the responsibility of the Council until local government re-organisation in the 1960s. Since then it has been relatively neglected and requires some modernisation and upgrading. Recent uses include pensioners’ meetings and concerts, indoor bowling and exercise classes. The hall’s past was much more varied with concerts, drama shows, dances , dinners, wrestling shows and private functions. If the community wish to retain this, the largest of our halls, we need to demonstrate that we have a viable plan for its future. Please send us your thoughts and ideas as there is unlikely to be any Council led public consultation. Please contact Laurencekirk Development Trust via Mike Robson at michaelrobson47@gmail.com or leave your comments below.